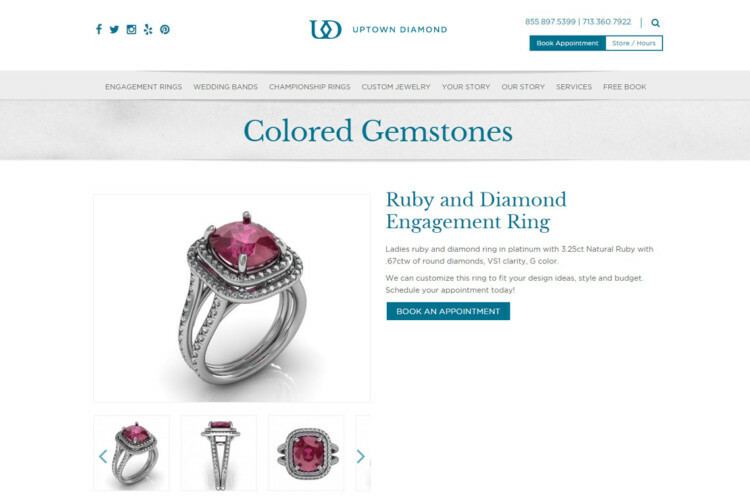 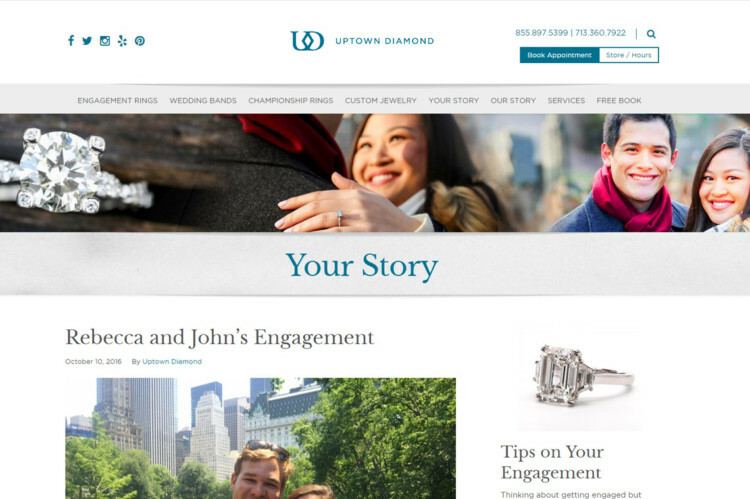 KWIRX was asked to re-imagine Uptown Diamond’s online presence, from both a design and functionality perspective. 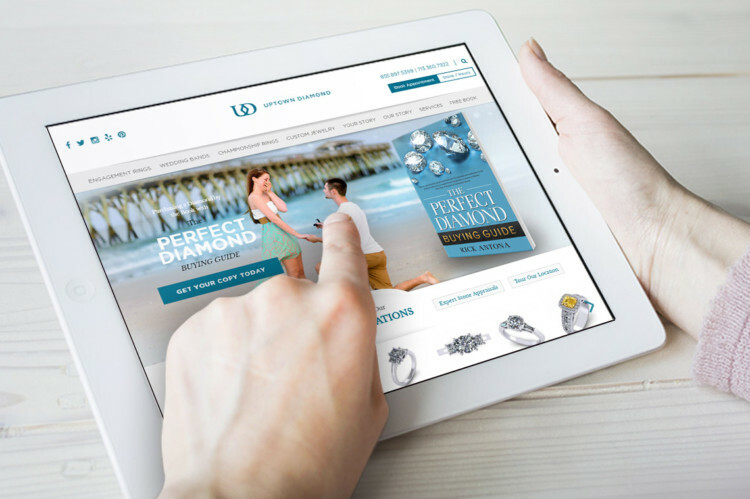 Uptown Diamond needed a site that could not only accommodate large, spectacular imagery of their jewelry, but also serve as a robust catalog of their work. 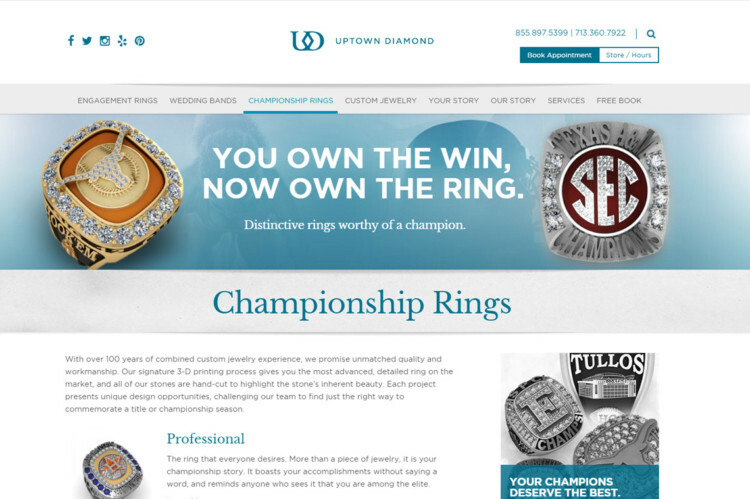 Also, the new site needed to be a full extension of the Uptown Diamond marketing tool set. 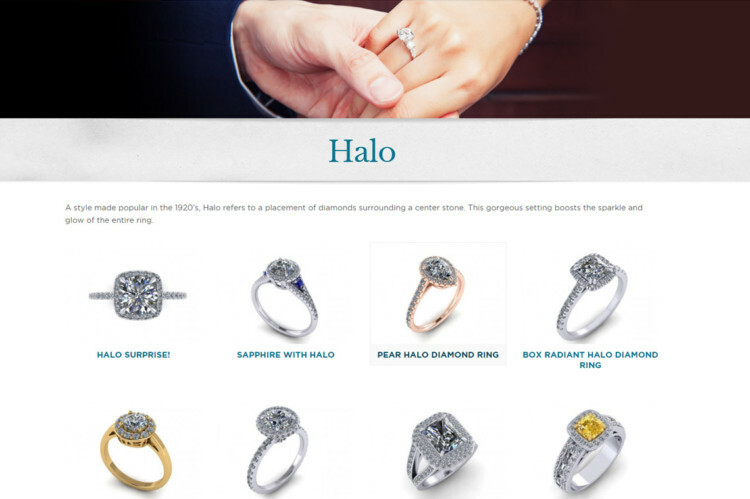 Aside from large graphics and a portfolio of rings, they needed a site that could serve as a home base for new marketing campaigns, as well as be a destination for all social media activity.